Catalog Page 12. Order 9" Mooses, Raccoons, Owls, Frogs, Eagles, Mouses and Penguins. Catalog Page 12. 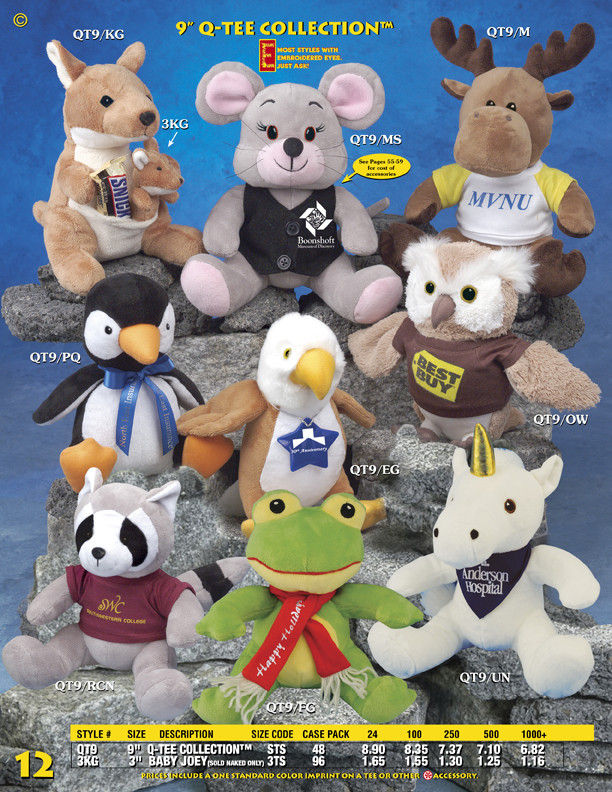 9' Q-TEE Collection includes a unicorn, frog, raccoon, penguin, eagle, owl, kangaroo, mouse and moose. The minimum order is 24 pieces. The one-color printed t-shirt is included.